At times, we find ourselves being very interested in what the wrestling video game world has to offer. 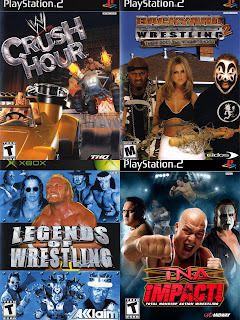 Whether it was the WWE Smackdown series, the WWE 2K series, or even the WCW/NWO N64 era, the wrestling video game world has always given us moments in time. It has also given us a lot of terrible moments as well. While the terrible moments probably actually outweigh the good ones, today, I wanted to give you only a glimpse of the bad games and what went wrong. We have discussed some of the greatest and even a few underrated games for the wrestling genre, but today we'll look at 8 of the worst wrestling games. Which games make the list? Read on to find out. -It is pretty saddening to see that WCW went out and created a game like this. This was the final sign that the end was near. While WCW Mayhem wasn't nearly as bad, it still fell flat as well, and that is part of the reason why I think WCW games lost their way after they decided to work with EA Sports and as a result, they would experience loss after loss. To many, this was a loss that didn't even register. The concept of the game was doomed from the start and it still baffles me that the company felt this was a good idea. From the cover to the title to the execution, this was a stupid idea and one of the worst games I've ever attempted to play (shoutout to Blockbuster for having this game for rent.... memories). The commentary is horrible and the premise of fighting in everything BUT a wrestling ring for a wrestling game is honestly one of the dumbest things I've ever seen. WCW would see this game be a huge failure and then they would be bought by WWF just 4 months later. Sounds about right. -I will never forget the fact that I wanted this game for Christmas. Ah, foolish young True blindly playing any game that had wrestling in the title. How soon I would learn. On paper, this was a game that had so much potential. Today, if a company came out and decided to put out a game like this, it would probably be awesome. 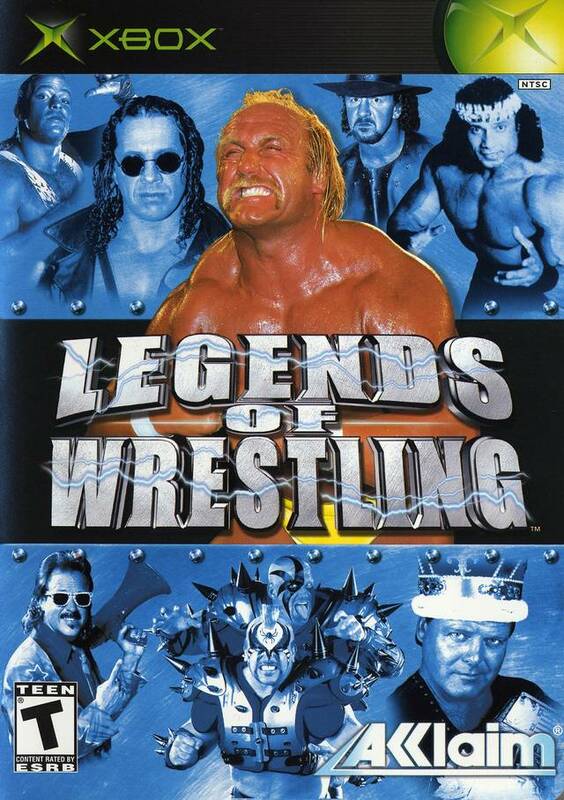 Imagine a game that's not under WWE license that features legends like Terry Funk, Hulk Hogan, Road Warriors, Bret Hart, Rob Van Dam, and more. For nostalgia purposes, that would be an excellent game. That is what this game should have been. However, when you take into consideration the clunky graphics, the poor execution, the horrible mechanics and controls, along with the overall gameplay just didn't connect. I'll be honest however, I did actually like the Showdown game that released a few years later, but that was more so for the roster than the game itself. With the first edition, they did nothing right. 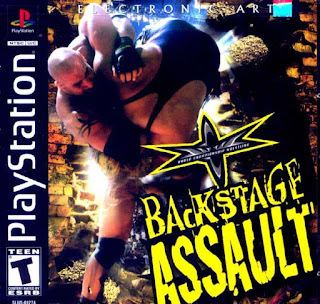 I remember playing this game once or twice, and just going back to Smackdown: Just Bring It, which was far superior than anything in this entire series. -Visually, this game was amazing. It looked great. The characters looked true to life and honestly, I was pretty excited to play as some of the wrestlers I had never experienced playing as in a video game. However, Midway wasn't the company to go with for this. 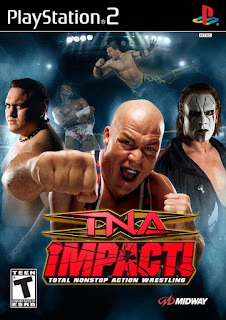 Perhaps TNA could have sat down with EA Sports or another developer and crafted a better game. Whatever the case may be, this game falls flat in gameplay and execution, and Midway would go out of business shortly after this game released (has to be a connection there). The AI for this game was awful and their moveset felt mostly limited. In addition to that, the match types weren't utilized right. The idea of an Ultimate X match was exciting..... until you actually played it. Simply put, much like the TNA product at the time, this game just didn't get it done. -So.... the first game sucked. It really sucked. I played the first game because my boy had it and swore it was great. It was not. At all. The second time around, my boy bought this game and told me this was also fire. It was not. Now, I'll give the developers credit. A little credit at least. They went and added in some names that would make the game slightly appealing. Slightly. New Jack, Vampiro, Major Gunns, The Sandman, Tera Patrick, and of course the Insane Clown Posse gave the game a little appeal, but guess what? The gameplay still sucked, and the mechanics of the game fell short once again. You can put the first and second game on any worst list, but because they clearly put more effort into the second and it still sucked, it takes a clear spot here on the list. Also, fun fact, apparently Sonjay Dutt was in this game. Go figure. -So, basically Twisted Metal meets WWE.... what could go wrong? I mean, everything right? While that premise itself could have been fun, the execution was all wrong, plus.... who asked for this? 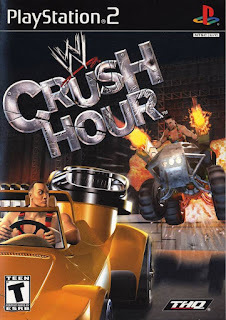 In today's society, Crush Hour could have been a fun mobile game that you download from Google Play or the Apple Store, but that's about it. As a full fledged game? No. Hell no. While some of these things make sense, like Stone Cold Steve Austin in his essence as a truck driver, the other wrestlers racing and trying to crush into each other really didn't work. It was a clear cut WWE money grab attempt based on capitalizing on a successful style of game, but this was a massive failure. MASSIVE. -You might not remember this game too much, and for that I can't blame you. It was utterly forgettable and quite possibly the worst of them all. While GameBoy Color fans and wrestling fans alike were slightly excited for this game mostly due to the fact that it features Triple H and The Rock on the cover facing off, all excitement wiped out once the storyline comes into play. Stephanie McMahon has been kidnapped and Vince will offer a title shot to whoever can find her. 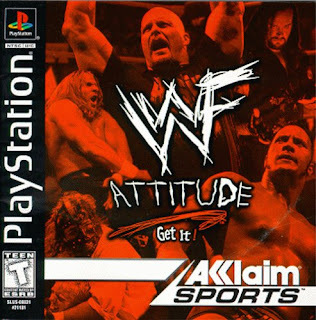 With only a few playable characters, this entire game is just a bad mess, and for most wrestling fans, finding Stephanie McMahon wasn't an appealing premise anyway. -I used to love this game as a kid. 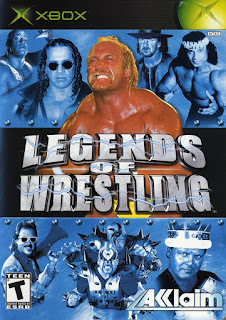 It was one of the first wrestling games I really attempted to delve into and at the height of the popularity for WWF, this should have been a classic. Notice that you rarely see it mentioned with the other games in the lineage of WWF/WWE games and with good reason. 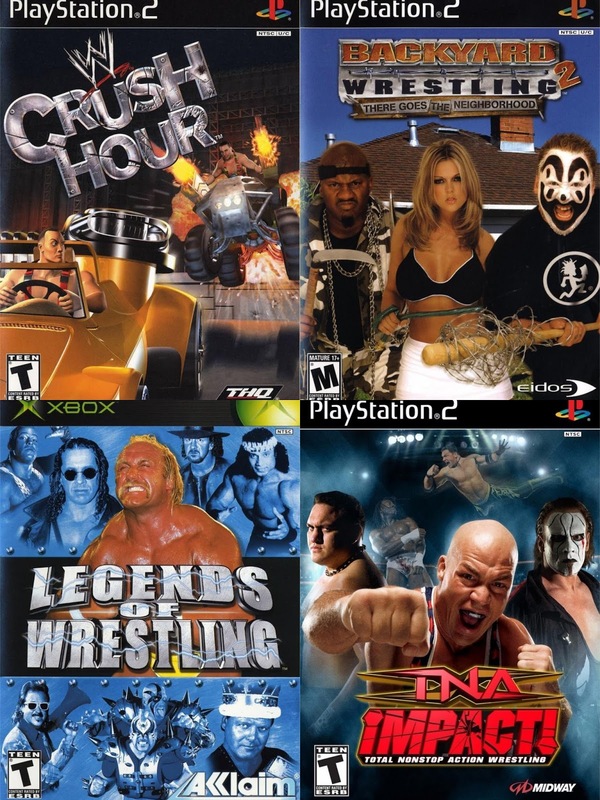 While WCW and was succeeding over on the N64 system, the PlayStation games for WWF were just failing miserably. 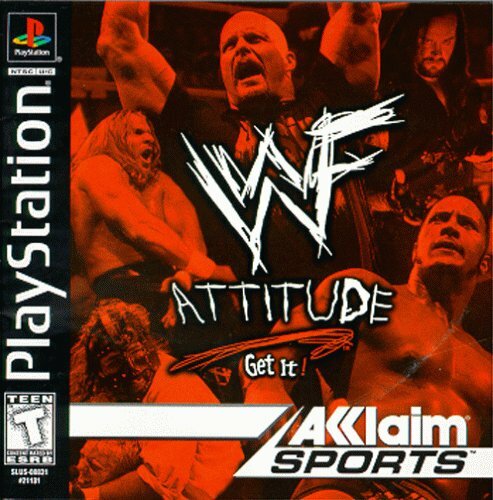 While I actually didn't mind WWF War Zone too much, Attitude was pretty brutal. It features some simple match types, and a decent roster, and the whole push of the Attitude Era behind it, but it just didn't work. As a kid, I liked the game just because I could play as my favorites, but after awhile, it just got boring. There was no replay value that could be found in games like WWF No Mercy, Wrestlemania 2000, WWF Smackdown, and other releases. Perhaps that's because WWF and Acclaim just didn't work well together for game making. Whatever the case, Attitude makes this list over a lot of the arcade and handheld games that could also be featured. -While some loved the WCW Nitro game, many did NOT enjoy the follow up to that surprisingly successful game and rightfully so. I wanted to like this game. For a while, I did. It had what you loved about Nitro but MORE, MORE, and oh yeah, MORE. Thunder was essentially wrestling video game overkill without actually improving on the things that you weren't fond of before. Now, don't get me wrong. It is bittersweet putting this game on the list for one reason: the promos before the actual match or star selection. Those promos were always hilarious and campy, but in retrospect, that's part of the reason why the game wasn't favored. It was a joke, and in addition to some pretty bad glitches, the fun factor was stripped away due to how easy it was to defeat your opponent. Still, the roster was massive and the match types were plentiful, but the execution was just all wrong. 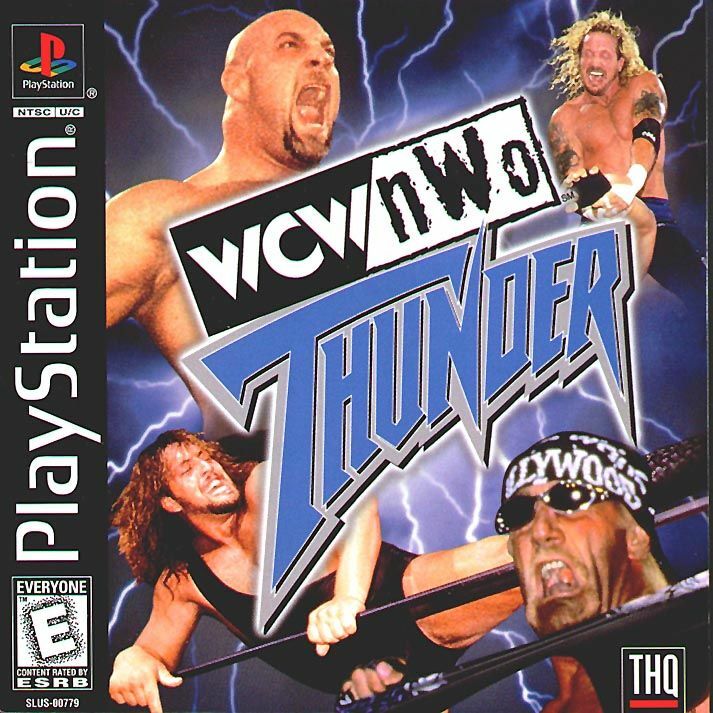 Another WCW game that missed the mark, which was seemingly common for that company at the time.